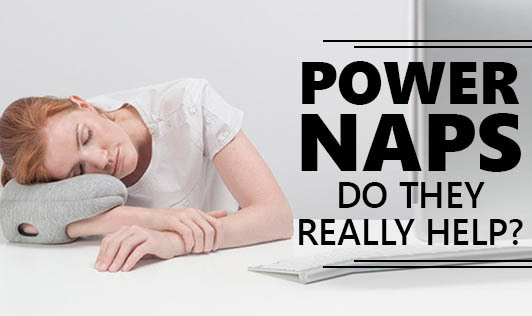 Power naps, do they really help? Taking time out for a nap during the day does much more than just giving us a quick energy boost. Daytime naps can be a very good way to treat sleep deprivation, and one can get incredible benefits from 15 to 20 minutes of napping says Sara.C.Mednick, author of "Take a Nap! Change Your Life". One rests the system and gets a burst of alertness as well as increased motor performance. Usually, the length of your nap and the type of sleep you get determines the brain boosting benefits. The most common 20-minute power nap, sometimes called as stage 2 nap is good for alertness and motor learning skills such as playing the piano or typing. Research has shown that longer naps can help in boosting memory and enhances creativity. Napping for about 30 to 60 minutes is good for decision making skills such as recalling directions or memorising vocabulary. Lastly, getting REM (Rapid Eye Movement) sleep for about 60 to 90 minutes plays an important role in making new connections in the brain and solving creative problems. Naps can improve one's mood and feelings of sleepiness as well as fatigue. Not only that, it is also good for the heart, blood pressure, stress levels and even weight management. "Keep in mind that getting adequate sleep regularly is the best way to stay alert and feel your best. But if you end up feeling tired, a quick nap can do wonders for your physical and mental health!"